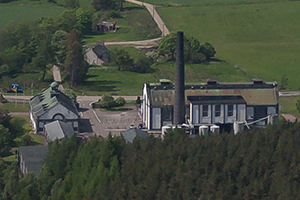 March 6, 2014 – Since it opened in 1960, Tormore Distillery has been one of Speyside’s more unusual distilleries. Built originally by Schenley International’s Long John division, the distillery was designed by Sir Albert Richardson as an architect’s dream — with a signature clock that chimes every 15 minutes. However, the distillery along the A95 has rarely been open to the public, and only available in limited amounts as a single malt. 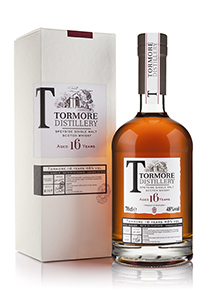 Chivas Brothers is changing that with a re-launch of Tormore, replacing the 12-year-old expression with new 14 and 16-year-old malts, a new branding campaign to highlight the distillery’s heritage, and a new web site. The moves follow an expansion of production capacity in early 2012 and the appointment of Neal Corbett as master distiller that spring. Both whiskies have been launched initially in France, and will appear in other markets during 2014. The 14-year-old was matured in American Oak casks, bottled at 43% ABV, and will sell for a recommended price of €42 ($58 USD, £35 GBP). The 16-year-old was also matured in American Oak, but is bottled without chill-filtering at 48% ABV, It will carry a recommended price of €56 ($78 USD, £46 GBP). Both whiskies will be available in limited amounts, reflecting the rarity of Tormore as a single malt.